Luna Javier is the Creative Director and Co-Founder of Altitude Games, the Manila-based studio behind the free-to-play mobile games Kung Fu Clicker, Dream Defense, and Run Run Super V. She started as a game writer in 2002 as part of the pioneer team that released the first Filipino-made game. Before Altitude, she previously worked at Boomzap Entertainment, creating best-selling casual adventure franchises such as Awakening and Dana Knightstone. 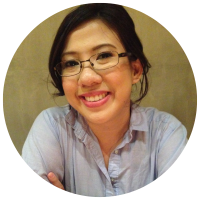 She has taught game design at De La Salle University, Manila, and spoken at various game conferences: Google’s Women Techmakers, Casual Connect, Women on the Block, NIFTY, Global Mobile Game Confederation (GMGC) Manila, and the IGDA Leadership Forum, among others. Luna is one of the 100 women featured in the book “Women in Gaming: 100 Professionals of Play” by Meagan Marie, available now on Amazon.